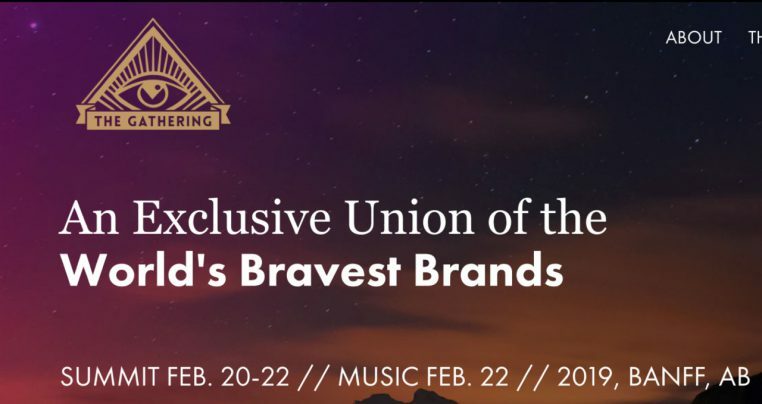 Learnings from The Gathering Conference - Hotspex, Inc.Learnings from The Gathering Conference - Hotspex, Inc.
Brands need a purpose as their North Star. This aligns all activity and engages the organization to a prime objective. Things that feel off brand don’t get done. Gatorade lost it’s way when it focused on Thirsty instead of Making Athletes Win From Within. The renewed focused resulted in phoenix like recovery of the Gatorade brand. Purpose is everything. From there a promise to consumers can be created that is a consistent promise to make feel a certain set of emotions. Apple are the masters of this. Surprise, Joy Connenction and Love. Every touchpoint. Every time. From there stories related to that purpose and promise can be created as proof points. The competitive set is not what you think. It’s share of mind. If people are thinking about something else in your category then they aren’t thinking about your brand. The competitive set of Gatorade isn’t just Powerade and Friends. It’s also Nike, Underarmour. For Coke it’s not just other cold beverages. It’s coffee too. Anything near a brand can steal your share of mental availability. Brands need to be coherent and consistent. Jack Daniel’s and the highly performing share price it is largely responsible for driving are based a years of history and a consistent brand message. The ads, packages, and even conference presentations are all coherent to the same emotional feeling. A feeling of understatement. Of being the unsung hero. The bottles, the ads, the labels the stories. They all make feel the same way and the brand is very distinct and powerful. Celebrity advocates are extremely powerful. Maybe now more than ever given all the clutter in the media landscape and the lack of attention people pay to anything for any amount of time. Beats By Dre leveraged the talent relationships of Jimmy Ioves and Dr. Dre to show stars, athletes and all kinds of celebrities wearing the products in a genuine, authentic way. This resulted in irrational demand for Beats products in a ultra cluttered environment. It as so effective they sold it to Apple for over $3 billion after a few short years in existence. Wow. It needs to be authentic … Dre couldn’t do sneakers, he needed to do speakers. It’s not going to get any easier. Marketers are struggling to connect with people. They are struggling with the right metrics to track performance. CMOs are looking at shorter and shorter tenures and fuzzy success metrics which measure their performance. You have to bring it every day. Even if you are leading that can change very very quickly. Be social or consider yourself anti-social. All brands are doing this in different ways for different reasons. Metrics are fuzzy yet emerging. The different platforms have different use cases. Lean on Google, Snap, FB for creative ways to make things happen. I.E. write briefs like “We want to increase TOM 15% of those exposed” “We want to have 10% of people to deeply understand our brand promise/emotion”.